May we show our love and appreciation for the Savior’s atoning sacrifice through our simple, compassionate acts of service. 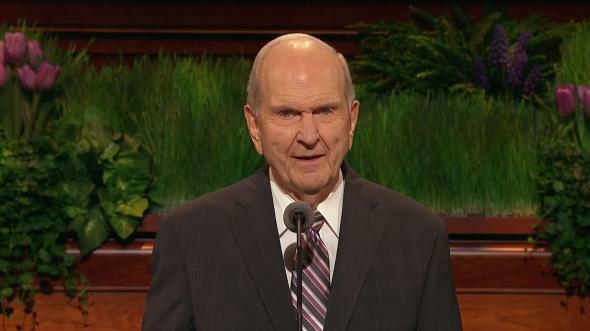 Brothers and sisters, I hope those of you visiting Salt Lake will take the opportunity to enjoy the colors and fragrances of the beautiful spring flowers on Temple Square. Spring brings a renewal of light and life—reminding us, through the cycle of seasons, of the life, sacrifice, and Resurrection of our Lord and Redeemer, Jesus Christ, for “all things bear record of [Him]” (Moses 6:63). Against this beautiful backdrop of spring and its symbolism of hope, there is a world of uncertainty, complexity, and confusion. The demands of everyday life—education, jobs, raising children, Church administration and callings, worldly activities, and even the pain and sorrow of unexpected illness and tragedy—can wear us down. How can we free ourselves from this tangled web of challenges and uncertainties to find peace of mind and happiness? 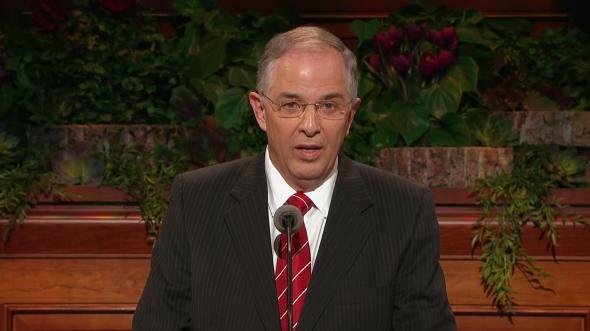 “… And by very small means the Lord … bringeth about the salvation of many souls” (Alma 37:6–7). Brothers and sisters, the gospel of Jesus Christ is simple, no matter how much we try to make it complicated. We should strive to keep our lives similarly simple, unencumbered by extraneous influences, focused on those things that matter most. What are the precious, simple things of the gospel that bring clarity and purpose to our lives? What are the flecks of gospel gold whose patient accumulation over the course of our lifetime will reward us with the ultimate treasure—the precious gift of eternal life? I believe there is one simple but profound—even sublime—principle that encompasses the entirety of the gospel of Jesus Christ. If we wholeheartedly embrace this principle and make it the focus of our lives, it will purify and sanctify us so we can live once again in the presence of God. The Savior spoke of this principle when He answered the Pharisee who asked, “Master, which is the great commandment in the law? “And the second is like unto it, Thou shalt love thy neighbour as thyself” (Matthew 22:36–40). 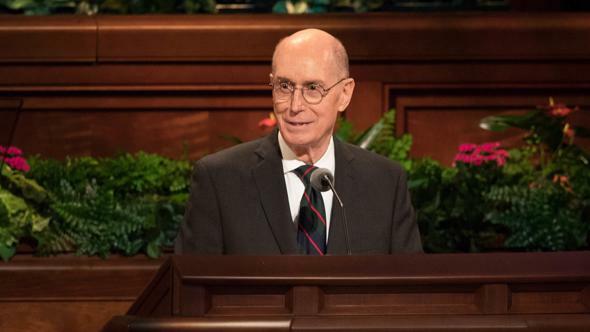 It is only when we love God and Christ with all of our hearts, souls, and minds that we are able to share this love with our neighbors through acts of kindness and service—the way that the Savior would love and serve all of us if He were among us today. The love the Savior described is an active love. It is not manifested through large and heroic deeds but rather through simple acts of kindness and service. There are myriad ways and circumstances in which we can serve and love others. May I suggest just a few. First, charity begins at home. The single most important principle that should govern every home is to practice the Golden Rule—the Lord’s admonition that “all things whatsoever ye would that men should do to you, do ye even so to them” (Matthew 7:12). Take a moment and imagine how you would feel if you were on the receiving end of thoughtless words or actions. By our example, let us teach our family members to have love one for another. Another place where we have ample opportunity to serve is in the Church. Our wards and branches should be places where the Golden Rule always guides our words and actions toward each other. By treating each other kindly, speaking words of support and encouragement, and being sensitive to each other’s needs, we can create loving unity among ward members. Where charity exists, there is no place for gossip or unkind words. Ward members, both adults and youth, can unite in meaningful service to bless the lives of others. 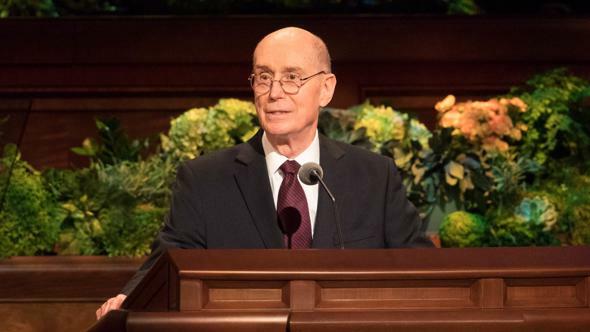 Just two weeks ago, the President of the South America Northwest Area, Elder Marcus B. Nash of the Seventy, reported that by assigning “the strong in spirit to those that are weak,” they are rescuing hundreds of less-active adults and youth. Through love and service, “one by one” they are coming back. These acts of kindness create a strong and lasting bond among everyone involved—both the helpers and the helpees. So many precious memories are centered around such service. When I think back on my many years of Church administration, some of my most profound memories are the times I joined with ward members to help someone. For example, I remember as a bishop working alongside several active members of my ward as we cleaned out the silage pit at the stake welfare farm. This was not a pleasant assignment! A less-active brother who had not been to church for many years was invited to join with us. Because of the love and fellowship he felt with us as we worked and talked in that smelly silage pit, he came back to church and was later sealed in the temple to his wife and his children. Our fellowship through service has blessed his children, grandchildren, and now great-grandchildren. 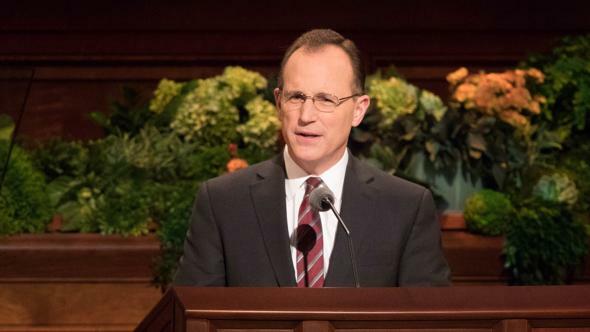 Many of them have served missions, have married in the temple, and are raising an eternal family—a great work wrought by a simple act, a small fleck of gold. A third area where we can serve is in our communities. As a pure expression of our love and concern, we can reach out to those who have need of our help. Many of you have put on Helping Hands T-shirts and worked tirelessly to relieve suffering and improve your communities. Young single adults in the Sendai Japan Stake recently provided invaluable service in searching for members in the aftermath of the devastating earthquake and tsunami. There are countless ways to serve. 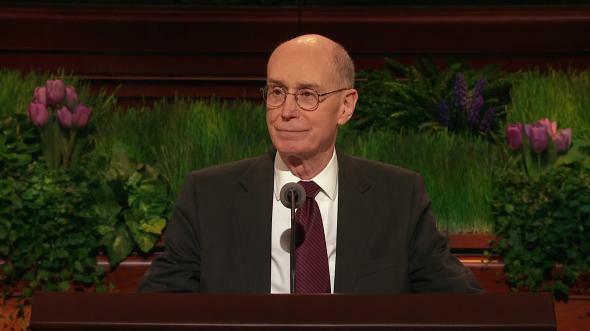 My good friend Elder Joseph B. Wirthlin talked of the power of this principle when he said: “Kindness is the essence of greatness. … [It] is a passport that opens doors and fashions friends. It softens hearts and molds relationships that can last lifetimes” (“The Virtue of Kindness,” Liahona and Ensign, May 2005, 26). Another way we can serve Heavenly Father’s children is through missionary service—not only as full-time missionaries but also as friends and neighbors. The future growth of the Church will not happen through just knocking on strangers’ doors. It will happen when the members, along with our missionaries, filled with the love of God and Christ discern needs and respond to those needs in the spirit of charitable service. When we do this, brothers and sisters, the honest in heart will feel our sincerity and our love. Many will want to know more about us. Then and only then will the Church expand to fill all of the earth. This cannot be accomplished by missionaries alone but requires the interest and service of every member. In all of our service, we need to be sensitive to the promptings of the Holy Ghost. The still, small voice will let us know who needs our help and what we can do to help them. 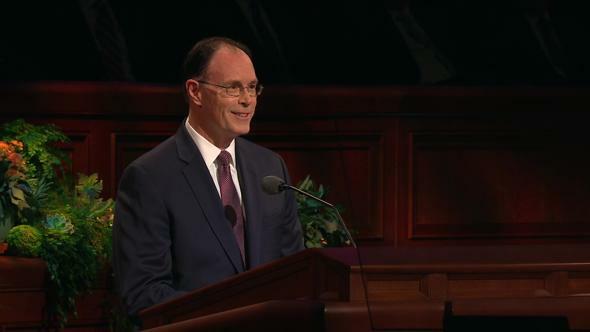 President Spencer W. Kimball said: “It is vital that we serve each other in the kingdom. 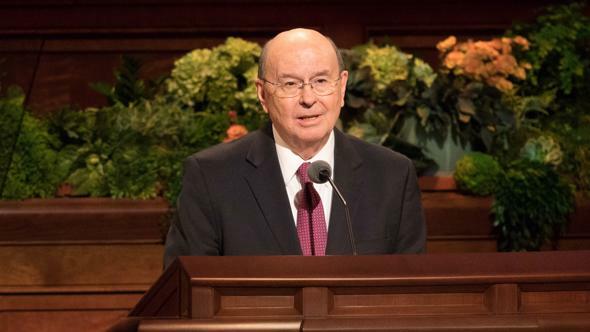 … So often, our acts of service consist of simple encouragement or of giving … help with mundane tasks, but what glorious consequences can flow … from small but deliberate deeds!” (Teachings of Presidents of the Church: Spencer W. Kimball , 82). 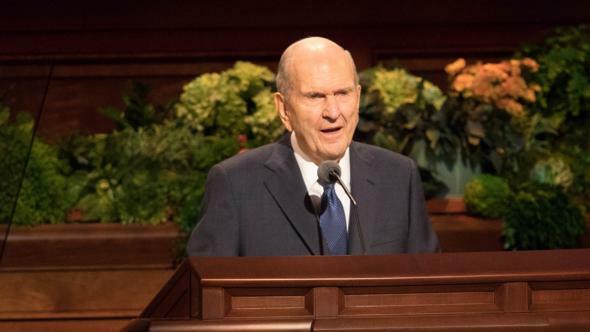 “… Unless we lose ourselves in service to others, there is little purpose to our own lives” (“What Have I Done for Someone Today?” Liahona and Ensign, Nov. 2009, 85). 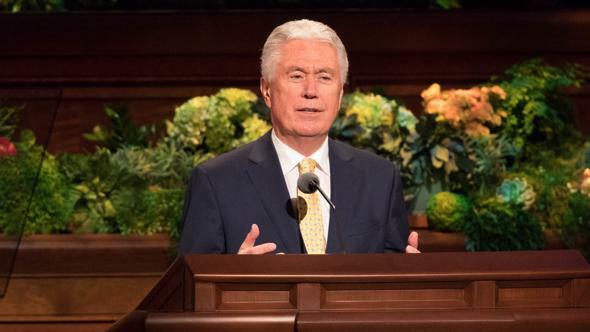 Brothers and sisters, may I reemphasize that the most important attribute of Heavenly Father and of His Beloved Son that we should desire and seek to possess within our lives is the gift of charity, “the pure love of Christ” (Moroni 7:47). From this gift springs our capacity to love and to serve others as the Savior did. 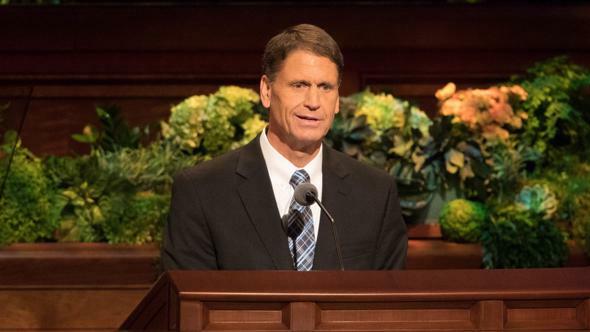 The prophet Mormon taught us the supreme importance of this gift and told us how we can receive it: “Wherefore, my beloved brethren, pray unto the Father with all the energy of heart, that ye may be filled with this love, which he hath bestowed upon all who are true followers of his Son, Jesus Christ; that ye may become the sons of God; that when he shall appear we shall be like him, for we shall see him as he is; that we may have this hope; that we may be purified even as he is pure” (Moroni 7:48). Great things are wrought through simple and small things. 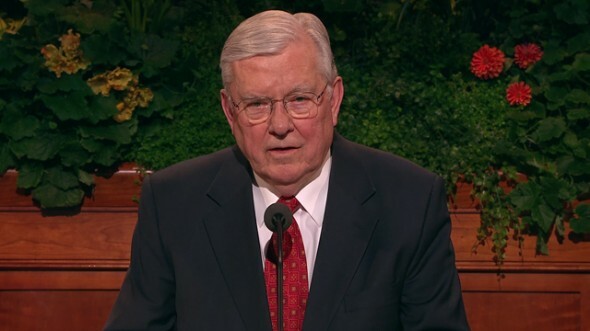 Like the small flecks of gold that accumulate over time into a large treasure, our small and simple acts of kindness and service will accumulate into a life filled with love for Heavenly Father, devotion to the work of the Lord Jesus Christ, and a sense of peace and joy each time we reach out to one another. 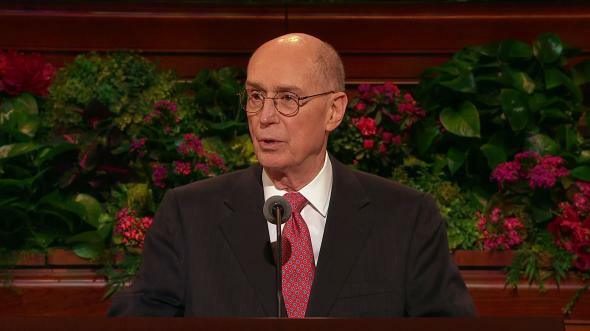 As we approach the Easter season, may we show our love and appreciation for the Savior’s atoning sacrifice through our simple, compassionate acts of service to our brothers and sisters at home, at church, and in our communities. For this I humbly pray in the name of Jesus Christ, amen.